Never miss a coin or bar- join the mailing list! All collectables have limited mintage numbers and time windows. Below are the currently active projects. 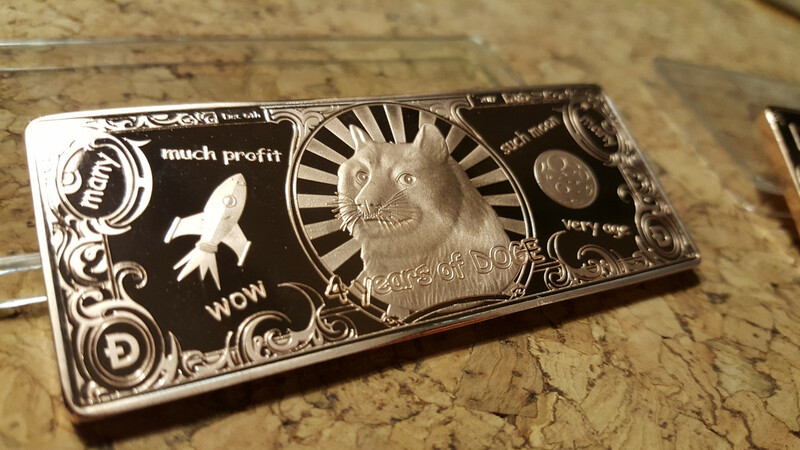 2oz silver doge bar. Mintage- 50. 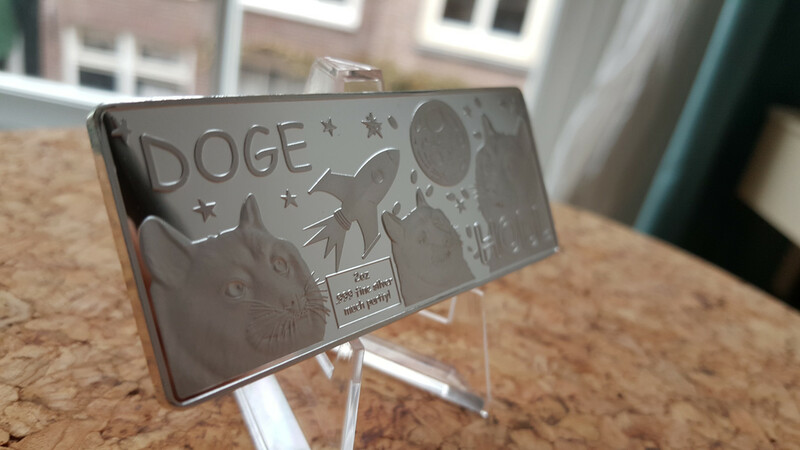 The plated 2017 anniversary DOGE bar series. Minted in 2018. Mintage: 20 gold, 42 silver, 40 copper. 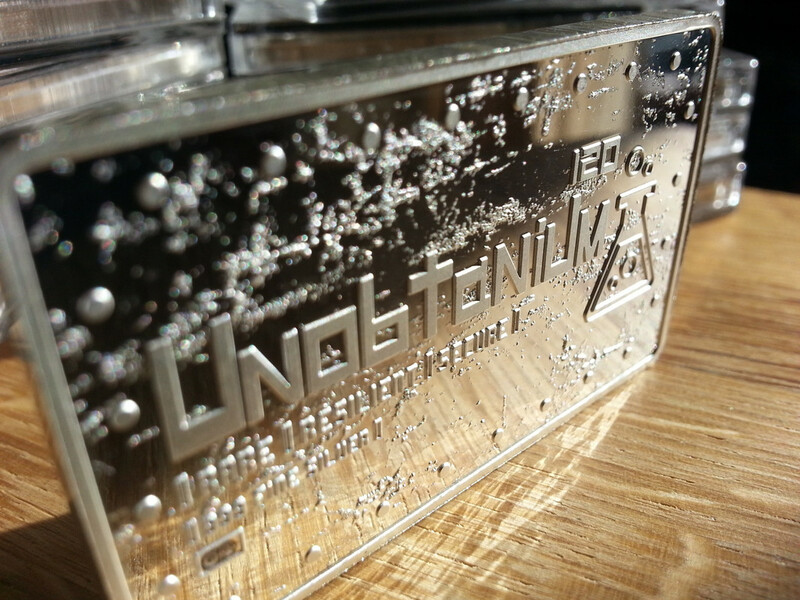 Unobtanium bar project. Both plated and pure silver version were struck, also a much rarer gold plated bar was struck. Mintage numbers coming soon. 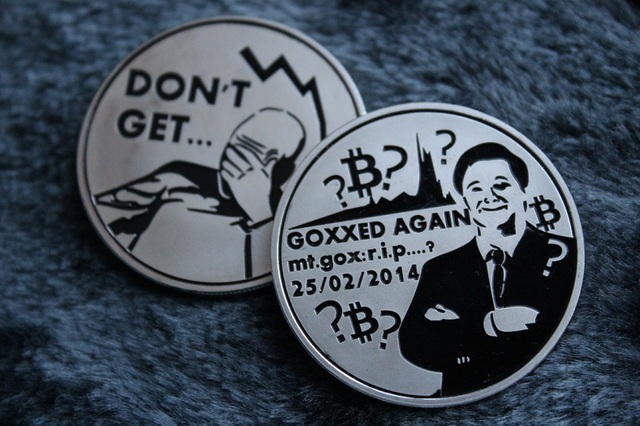 Mt.Gox Commiserative project. The coin that started it all. Also the most numerous coin in circulation with different plating, metals, numbering and laser engravings. Mintage numbers coming soon. I can provide design services. This includes a full design package and optional management of the manufacture. Holograms can also be designed. Please see the design section of the site for more information and also the portfolio section for high quality images of previous projects.